Authorities are hunting an “armed and dangerous” teenager suspected of making threats against Columbine High School, just days before the 20th anniversary of a mass shooting that killed 13 people. 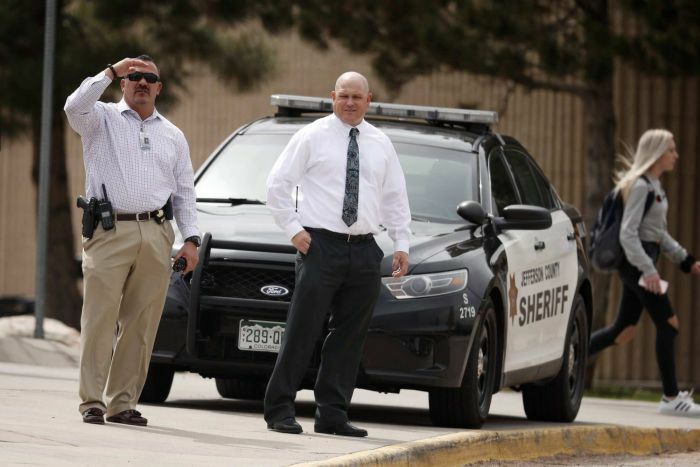 The undisclosed threats led Columbine and several other high schools outside Denver to lock their doors for nearly three hours. All students were safe, school officials said. The suspect, 18-year-old Sol Pais, travelled to Colorado on Monday night (local time) and has tried to buy firearms, according to the Jefferson County Sheriff’s Office and the FBI. The FBI’s Rocky Mountain Safe Streets Task Force issued a notice describing the teenager as “infatuated with [the] Columbine school shooting”. The alert said police who come into contact with her should detain her and evaluate her mental health. Ms Pais was last seen in the foothills west of Denver and is considered “armed and dangerous” and should not be approached. Officials did not provide further details about the threats or say where she was from. Students left classes on time, but after-school activities were cancelled. The alert came four days before the 20th anniversary of the April 1999 Columbine massacre, which saw two heavily armed students storm the school and kill 12 classmates and a teacher.